AAA Charters is currently building 6 HR Deep Sea Fishing Party Boat Trips for the last days to harvest red snapper in 2015 in the federal waters of the Gulf of Mexico. These trips are an amazing value for a quality deep sea fishing experience. This entry was posted in Fishing, News and tagged affordable deep sea fishing, affordable deep sea fishing orange beach, affordable family fishing on the AL Gulf Coast, affordable orange beach al things to do, alabama bottom fishing, alabama red snapper charters, cheap gulf shores al fishing, deep sea fishing alabama gulf coast, deep sea fishing charters gulf shores AL, gulf shores al affordable things to do, gulf shores al head boat fishing, gulf shores al party boat fishing, gulf shores al walk on fishing charters, head boat fishing gulf shores al, head boat fishing trips orange beach al, orange beach al headboat fishing trips, orange beach al party boat fishing, party boat fishing on the AL Gulf Coast, party boat fishing orange beach al on July 11, 2015 by AAACharters Team. 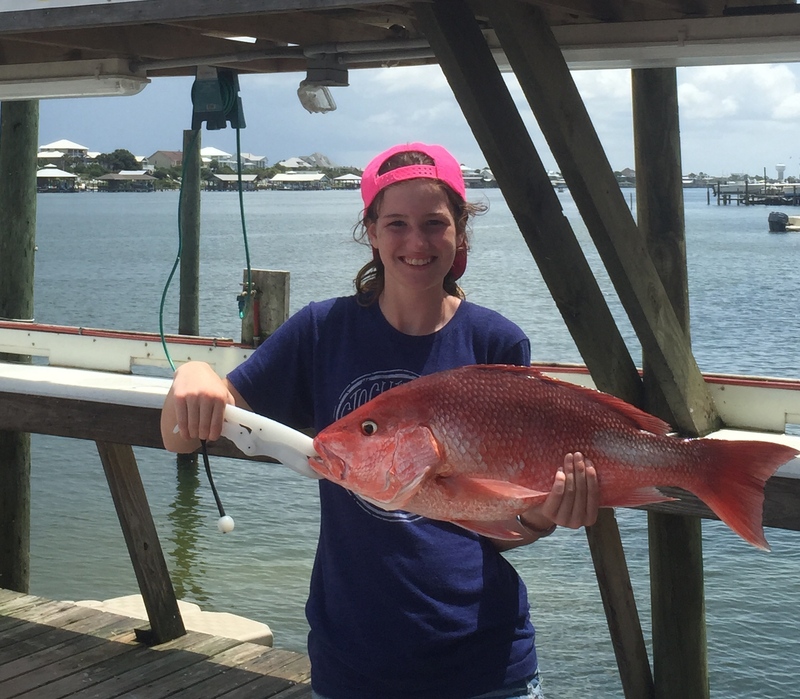 Alabama Deep Sea Fishing Spring Break 2015 Deals! 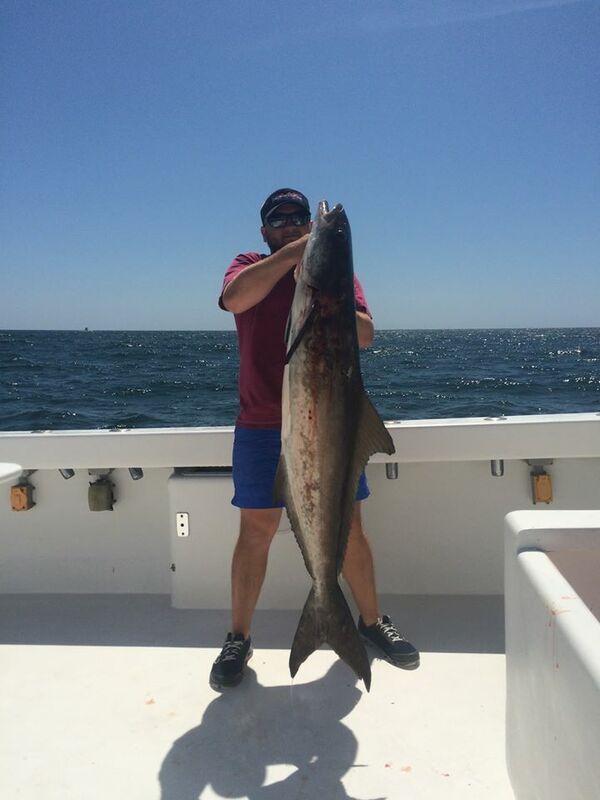 Cobia are biting NOW! Spring is a favorite time of the year for our fleet of charter boat captains. 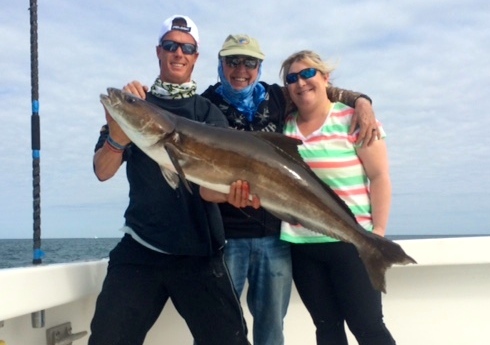 Many of them truly love fishing for cobia as they move into our coastal Florida & Alabama waters in the spring as they migrate west and to deeper waters as summer approaches. The Captain watch from the tower above to spot these fish, and eels are often the bait of choice. Most days of the spring, our captains are out hunting these fish with or without a charter aboard. 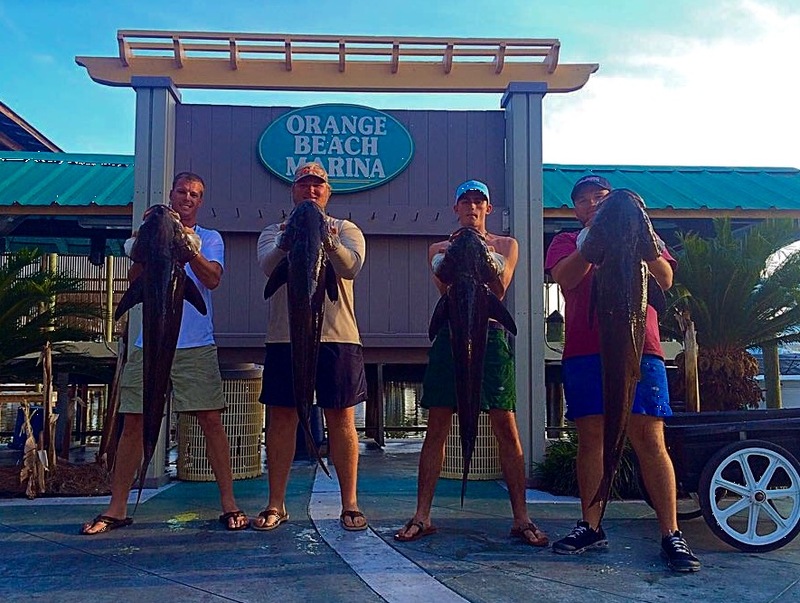 Come join one of captains & crews and catch some of the cobia fever. 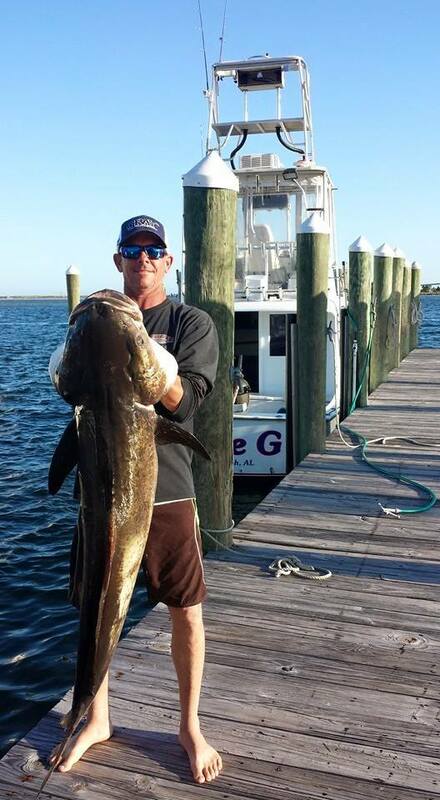 AL State Record Cobia – 117 lbs. 7 oz set by Captain Ben Fairey 4/18/95 Come set a new Record! Not only can these rapidly growing fish reach 100 lbs, & nearly 6 feet long; they are tasty. Cobia has a very white, flaky texture and is typically not a very oily or high fat fish. This makes the fillet great for cooking in a variety of ways, as it takes on the flavor of additions very well without an over-riding fishy flavor. This entry was posted in Fishing, News and tagged affordable deep sea fishing, alabama gulf coast cobia fishing, cobia fishing charters, cobia fishing in alabama, cobia fishing orange beach al, deep sea fishing al gulf coast, family fishing charters gulf shores al, fishing charter discounts gulf shores al, fishing report orange beach al, gulf of mexico cobia fishing trips, gulf shores al affordable things to do, gulf shores al deep sea fishing charters, gulf shores al fishing report, gulf shores al private fishing charters, gulf shores al shared expense fishing charters, gulf shores cobia fishing charters, near shore trolling trips gulf shores al, orange beach al family fishing trips, orange beach al fishing charter discounts, orange beach al near shore trolling trips, orange beach al walk on fishing trips, orange beach al whats biting, private fishing charters orange beach al, walk on fishing charters gulf shores al, what's biting in gulf shores al on April 8, 2015 by AAACharters Team. 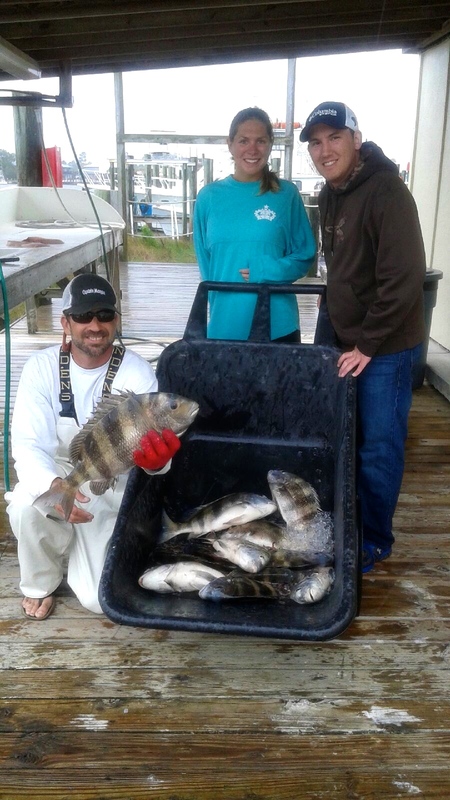 Inshore (also known as Back Bay) Fishing Charters have been the most popular fishing trips along the Alabama Gulf Coast this spring. These trips are typically 4 Hour private charters of 1-6 anglers on one of the fleet of 24′-26′ back bay center console skiffs. We have professional, experienced captains whose full attention is focused on finding the fish, and showing your group how to reel them in. We use light tackle and live bait to attract a big bite. 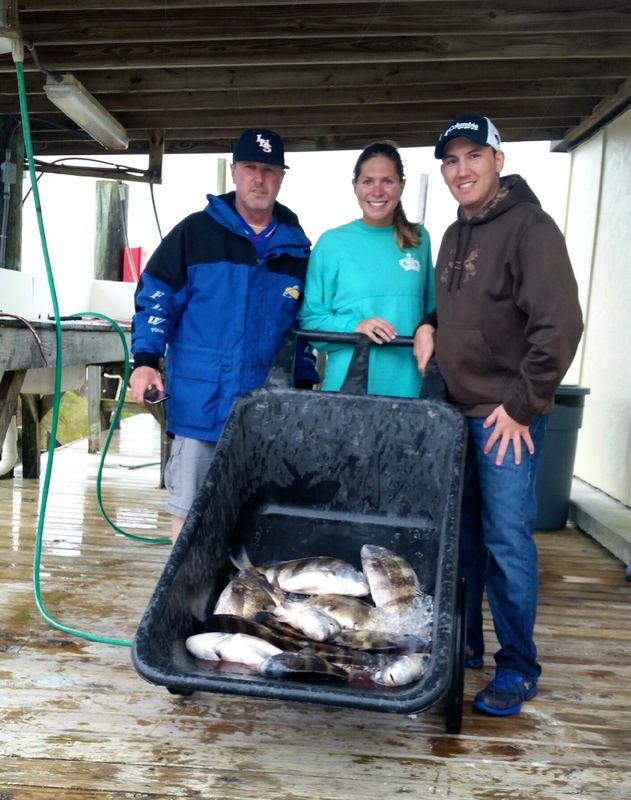 AAA Charters can also pair single angler or couples together to share the expense of in inshore fishing charters, like this group of that fished together in Mid-March 2015 with Captain Marty Starling. 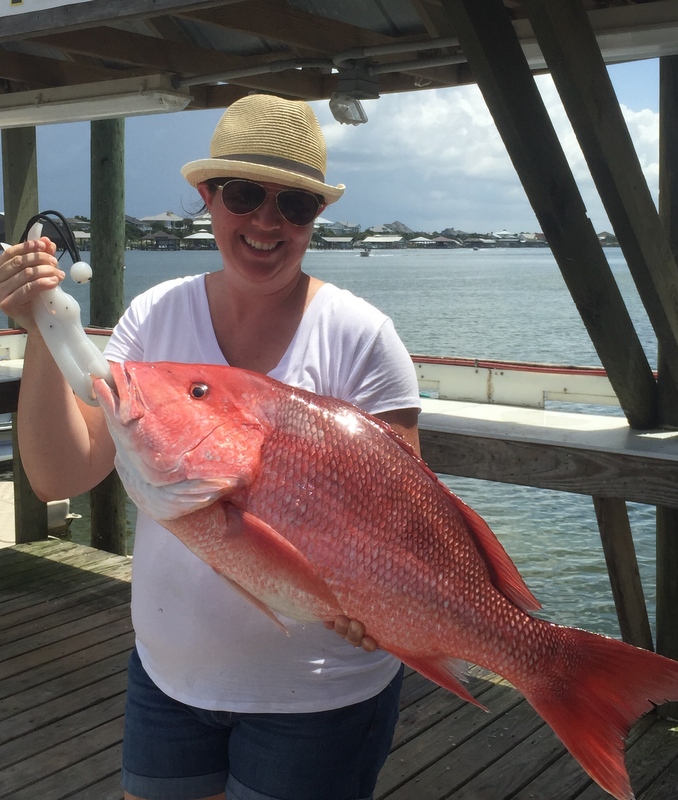 The Alabama Gulf Coast is blessed with a 50+ mile coast line along the Gulf of Mexico, the Intercoastal waterway, bays, bayous and rivers that can all be accessed by our inshore fishing guides. Click here to see What We Can Catch Many species of fish live in our waters, so we can find something biting somewhere. There’s no telling what you might reel in! 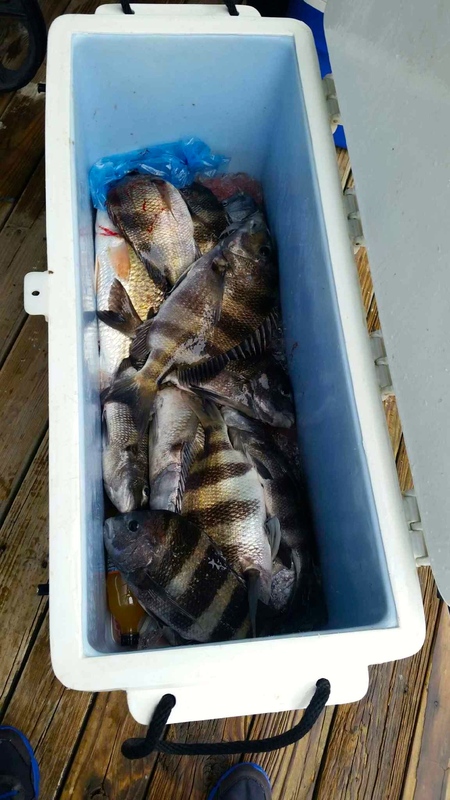 The second week of March this year offered a challenging forecast for arranging fishing charters for those traveling to the beach for Spring Breaks. A low pressure system sat in the western Gulf of Mexico and pumped rain across the entire Southeast US all week long. AAA Charters knew that several kids had their hearts set on having the opportunity to fish during their Spring Break visits to Alabama. We kept our eyes on the radar screen all week allowing us to set up family fishing charters during the longer rain breaks and the FISH BITE WAS ON! There were lots of big smiles from anglers this week and some coolers of fish for the captain to clean! 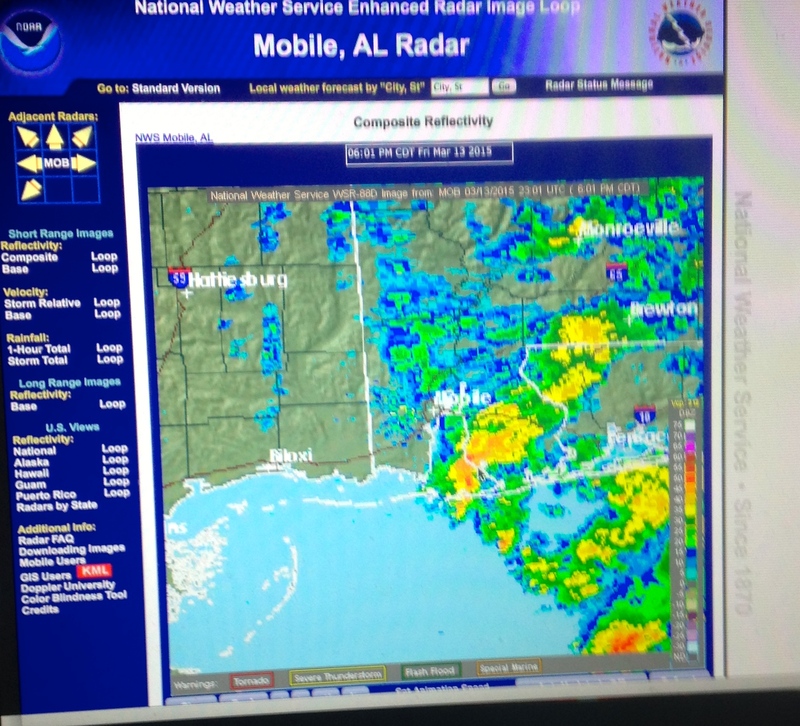 Despite the radar looking this way often the 2nd week of March, AAA Charters still managed to schedule family inshore fishing trips between the storms! 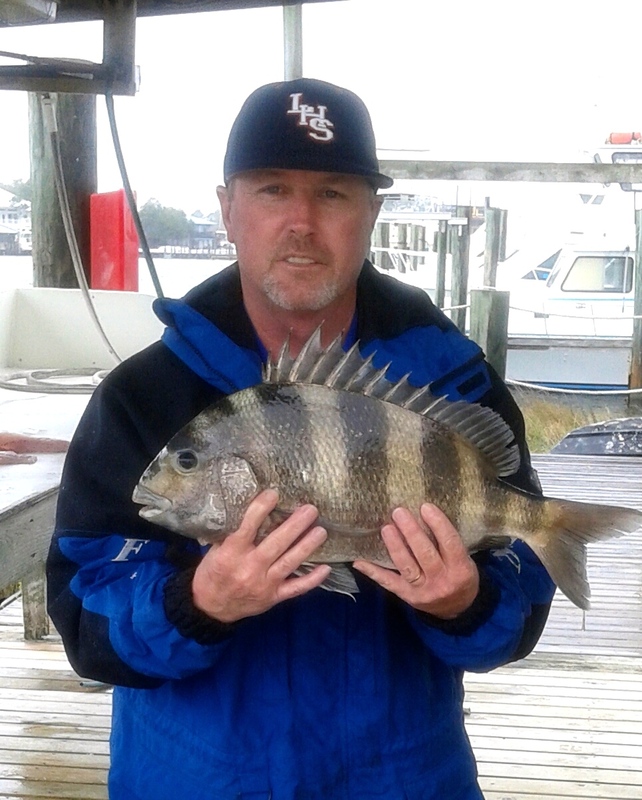 Mid March 2015 Redfish (Red Drum) Sea Bass & Sheepshead are biting! 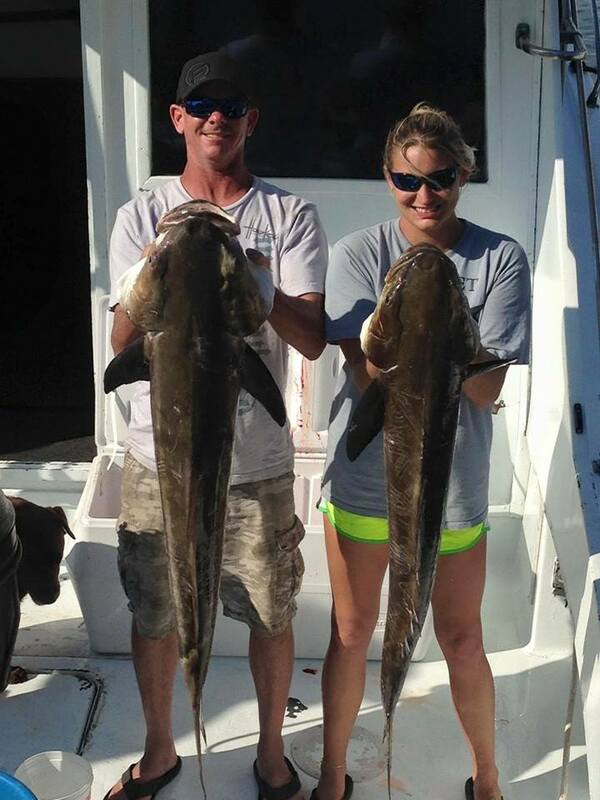 The Annual Cobia Run begins soon as these fish travel through our waters along the FL/AL Coast! 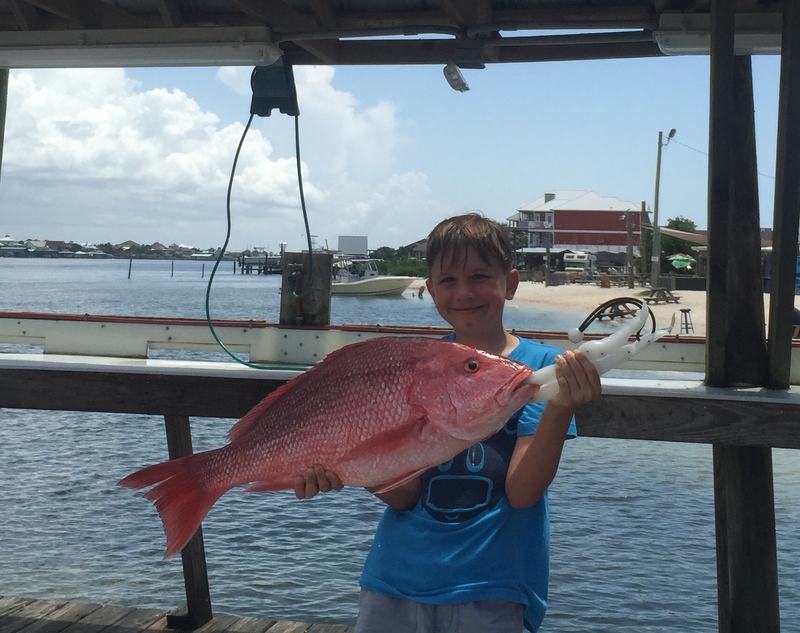 Great Trips for families to spend quality time together fishing along the coast. The captain & boat are all YOURS! For example, if the kids spot some wild dolphins and want to watch them for awhile, fine. If you want to stop at Pirate’s Cove or along one of the barrier island to swim a bit, you can! We are here to make your ideal adventures happen. 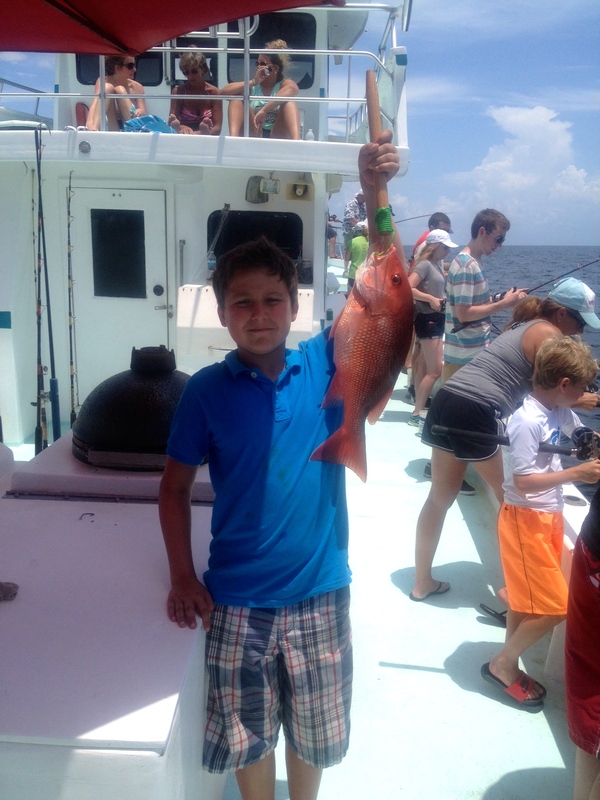 This entry was posted in Fishing, News and tagged affordable family fishing, affordable orange beach al things to do, AL Gulf Coast Back Bay fishing charters, AL Gulf Coast Spring Break Fishing Discounts, back bay fishing gulf shores al, gulf of mexico fish species, gulf shores al affordable things to do, gulf shores al family fishing charters, gulf shores al inshore fishing guides, inshore fishing al gulf coast, inshore fishing charters gulf shores al, orange beach al fishing charters, orange beach al inshore fishing charters, orange beach al whats biting, private fishing charters orange beach al, shared back bay fishing charters alabama, whats biting gulf shores al, whats biting on the AL Gulf Coast on March 16, 2015 by AAACharters Team. During the month of February, AAA Charters can offer 6 HR. Head Boat Deep Sea Fishing Charters for only $65 per angler! That’s a $20 Discount on a day of bottom fishing in the Gulf of Mexico. The Alabama Gulf Coast is the home of several Headboats (also known as Party Boats) that offer daily shared expense fishing charters that travel up to 20 miles offshore for a day of bottom fishing above the thousands of artificial reefs we have built in the Gulf of Mexico. These artificial reefs create ideal habitat for a diverse population of reef fish such as snappers, amberjack, triggerfish, and grouper. 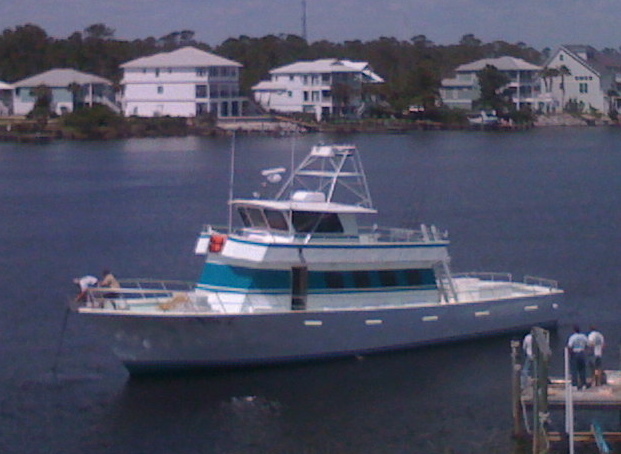 These head boats are large fishing vessels (65′-75′) that can carry up to 50 passengers. During the winter months it is more common to have 20-30 anglers on board. These vessels do have cabins and marine restrooms. 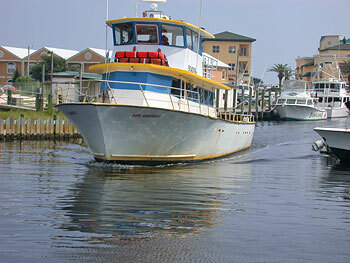 Bait, fishing licenses, rod & reels are included in the cost of the trips. Anglers can bring whatever food & beverages they would like to have during their fishing excursion, but we do ask NO GLASS BOTTLES. Plan to arrive at the marina at least 30 mins. prior to departure. The customary tip for the mates is 15%-20% of the charter cost, plus 30 cents per pound (whole weight) for fish cleaning of the fish harvested. The mate will provide the ziplock bags. This entry was posted in Fishing, News and tagged affordable deep sea fishing, affordable family fishing, affordable orange beach al things to do, alabama bottom fishing, alabama deep sea fishing charters, alabama fishing tours, cheap fishing charters al gulf coast, deep sea fishing gulf shores, fishing charter winter discounts, gulf shores al affordable things to do, gulf shores al head boat fishing, gulf shores al party boat fishing, gulf shores al walk on fishing charters, gulf shores al what's biting, gulf shores snowbird fishing discount, orange beach al deep sea fishing charters, orange beach al deep sea fishing discount, Orange beach party boats, walk on fishing charters al gulf coast, walk on fishing charters orange beach al, what's biting along the AL gulf coast, what's biting orange beach al on February 19, 2015 by AAACharters Team.